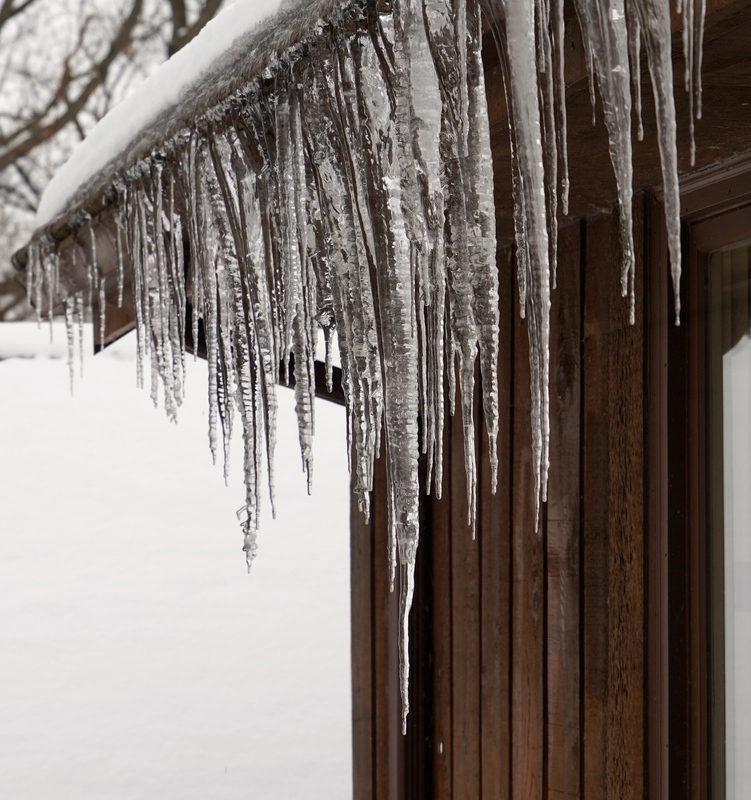 Dripping icicles are picturesque winter images, although this week’s massive winter storm, Grayson, extending from Florida to Maine disrupted any nostalgic thoughts of snow and ice. The icicles photographed from my study window (above) echo the pendant spikes painted by Pieter Bruegel the Elder in Massacre of the Innocents circa 1565-67. 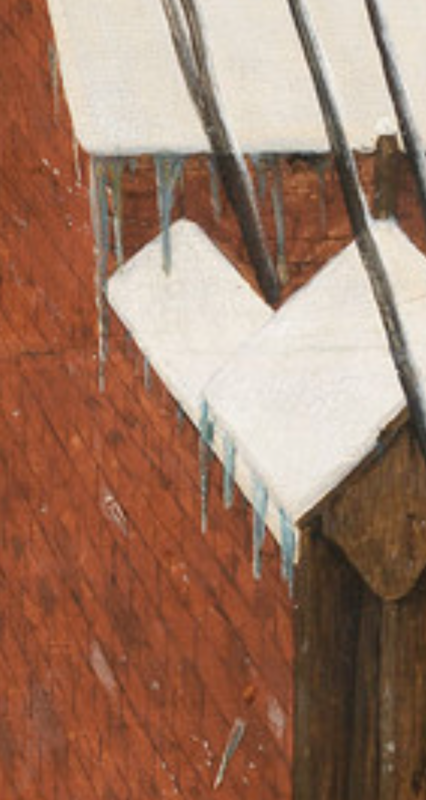 Bruegel’s icicles (above) look charming enough, until you view the grim larger work (below – original at Queens Gallery, British Royal Collection). One broken icicle is falling in response to men kicking in an adjacent door. 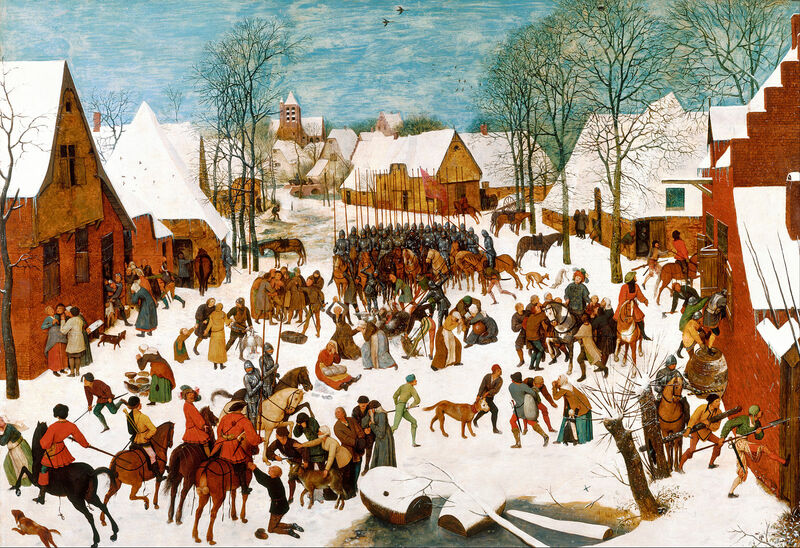 The actual painting has a complex history of paint-overs transforming it from grisly slaughter of babies to the plundering of a village. So, too, the larger work of today’s climate gives the icicle a chilling perspective, as it brings to mind the Greenland Glaciers, among other melting ice forms. Although water’s origin on earth remains controversial, water is one of the key things astronomers seek when evaluating other planets that could initiate or sustain life. Water, so central to life, is a synonym in medicine for urine, amniotic fluid, ventricular fluid, lymphatic fluid, and other waters of our bodies. Frozen water in the form of sea ice and glaciers, more or less stable for the past 10,000 years, is melting at an extraordinary rate, threatening the delicate balance of planetary life. 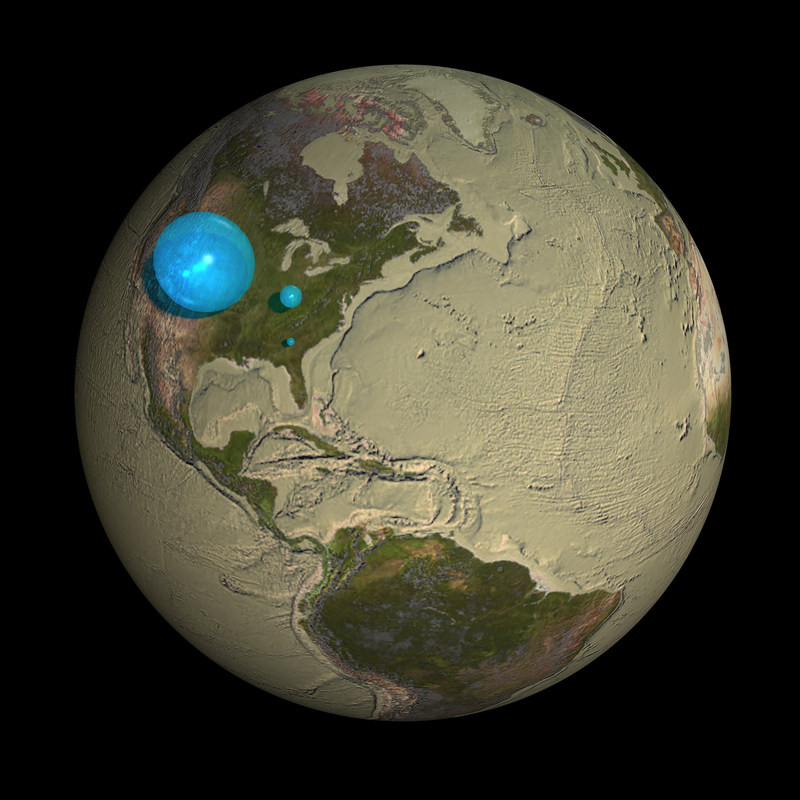 The three blue spheres below represent relative volumes of Earth’s water in comparison to the size of the Earth. In comparison to the volume of the globe, the amount of planetary water is small; oceans account for only a thin veneer of water on the surface. The largest blue sphere represents all of Earth’s water. Its diameter is 860 miles (the distance from Salt Lake City, Utah, to Topeka, Kansas) and has a volume of about 332,500,000 cubic miles (1,386,000,000 cubic kilometers). This includes all of the water in the oceans, ice caps, lakes, rivers, groundwater, atmospheric water, and even the water in living creatures. The blue sphere over Kentucky represents the world’s liquid fresh water (groundwater, lakes, swamp water, and rivers). The volume comes to about 2,551,100 mi3 (10,633,450 km3), of which 99 percent is groundwater, much of which is not easily accessible. The diameter of this sphere is about 169.5 miles (272.8 kilometers). Dividing human moments into calendar years, we “start fresh” each new year with renewed opportunities to explore the world intellectually and geographically. The globe of the Earth is a tool and metaphor for human exploration as well as a visual remonstration to the “Flat Earth Society.” The globes shown above are displayed in a hallway in the Harlan Hatcher Library. If you work here at the University of Michigan or even if you don’t, but happen to be in Ann Arbor and want to explore the campus, “check it out,” when you have time. Interrogation of the moment has been a uniquely biologic phenomenon. A rock is not aware of its environment even though it is affected by it. The rock cannot consider the things around it nor empathize with whatever it may roll down upon. Our human predecessors well before Aristotle thought about matters like this (they called them metaphysical) and passed these thoughts to their successors. When language and technology permitted, these metaphysical considerations were made somewhat durable in writing. Standing at the threshold of coexistence with systems built around artificial intelligence, we are now affected by their ability to interrogate us and to increasing degrees we are transferring many decision-making powers of our human agency to these systems. Lincoln’s remarkable use of the phrase “fourscore and seven” converted a mundane metric of 87 into a poetic measure of time. He was referring to the age of our nation, but that measure of time also equates to one very fortunate human life span, although for Lincoln’s time, in the antebellum South of the U.S., the average life expectation for a white male was 38.3 and 40.5 for a white female. I couldn’t find equivalent data for other men and women of color until 1900 when it was 32.5 for males and 35 for women. All such data is a suspect approximation for reality, and means little to the particular story of any individual man or woman. My point here, admittedly a bit strained, is that our limited personal solar cycles provide a single human the opportunity to interrogate one’s times and world, so as to navigate it well and possibly to improve it for successors. Borrowing from Lincoln, three score and ten is a more typical fortunate expectation for most of us, given the personal good luck of health, security, and opportunity that communities and governments should provide. Four score and seven is a very optimistic expectation, and for that the luck and security of health is essential. An individual human’s expiration date hinges on genetics, luck, opportunity, choices, and the general randomness of events. For me, as a youngster growing up in the rhetoric of the Korean War, McCarthyism politics, nuclear war anxiety, air-raid drills at school, and the personal insecurity of one’s own potential and relevance, the mere idea of surviving into the 21st century seemed fanciful. Yet here we are in 2018. 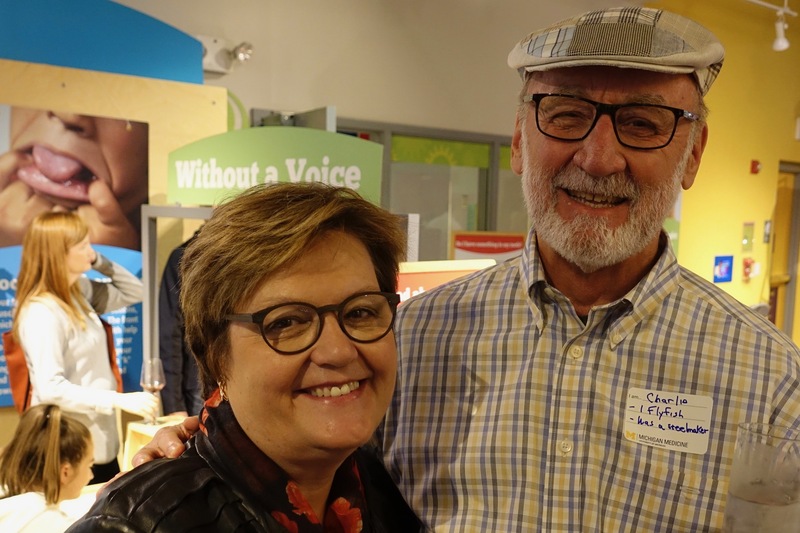 Dee Fenner, the new chair of the OB GYN Department, is a perfect choice for Michigan Medicine (seen above with husband Charlie at autumn DEI reception). Dee is a world-renown gynecologist, a superb educator, and a first-rate administrator who has gained the respect of her colleagues at Michigan in her numerous administrative responsibilities. She also holds a joint appointment with Urology, along with 3 other members of her team. Since the days when Ed McGuire was Section Head of Urology, our departments have had a close relationship. I well remember my earliest days here when Ed and John DeLancey had a combined pelvic floor dysfunction clinic on Saturdays. Dee and I met shortly before she returned to Michigan. We were in Paris at a WHO Consensus Conference in 2001 and by coincidence found ourselves in a pen shop as the only Americans. Words of praise are due for Tim Johnson, the outgoing chair of OB GYN and a friend of urology for the 24 years of his successive terms. Few figures in his field have generated equal respect for leadership in national and international OB GYN. His work in Ghana is legendary. 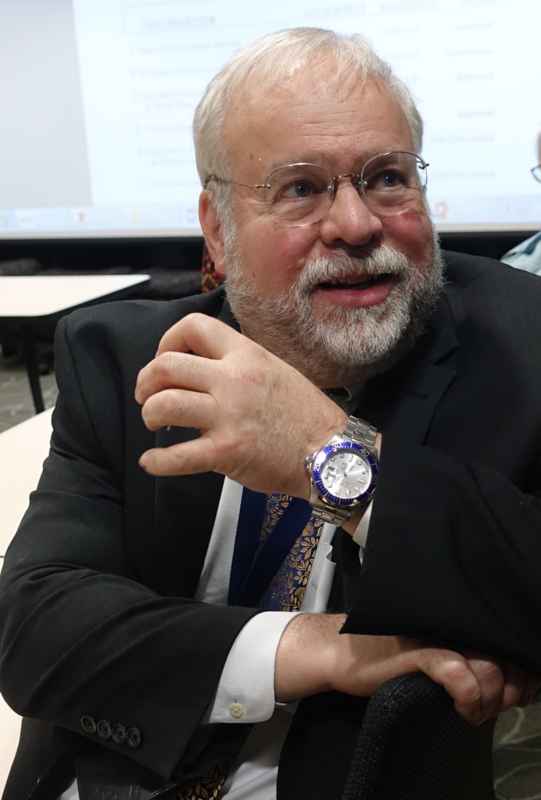 Tim brought his department at Michigan into the 21st century with superb clinical divisions, excellent faculty, coveted educational programs, and worthy contributions to the knowledge of his field. Tim has been a stalwart force in the domain of women’s rights. His sense of the centrality of the essential deliverable of kind and excellent patient-centered care (if you permit me some repetitiveness) has made him a terrific colleague. His department consistently and superbly delivers its products (forgive the relevant pun). Sad news on the recent passing of Rudi Ansbacher, emeritus professor of OB GYN and a remarkable colleague. Matula Thoughts, recap. Throughout the millennia of human history clues to predict the future have been highly prized, especially so when a given future is related to health. Entrepreneurial “healers” utilized external cues from the heavens, weather, tea leaves, or playing cards to prognosticate outcomes, although the logic of using physical evidence from patients or their byproducts was evident to early practitioners. Like most other mammals, humans share the trait of personal interest in their urine, and are particularly attentive when it is abnormal during illness. Hippocratic writings documented uroscopy, as examination of urine came to be called 2500 years ago, and over the ensuing millennia the practice attained imaginative prognostications as healers examined the gross characteristics of urine in flasks called matulas to speculate on the course of an illness. The visual image of a “piss prophet” gazing at a matula served as a main symbol of physicians until only about 200 years ago when the stethoscope replaced the flask as medicine’s badge of office. We began this electronic journal nearly 18 years ago with a respectful tip of the matula to the essayist Michel Eyquem de Montaigne who began his eclectic personal observations around 1572 at 39 years of age. That was a turbulent time, notable in Europe for the sieges of Sancerre and Haarlem, in South America for the fall of the last independent remnant of the Inca Empire, and in the heavens for the first observation of Supernova SN 1572, that Tycho Brahe gave as evidence that stars are changeable. Montaigne was likely unaware of most big events of that year, but he was certainly acquainted with physicians and matulas, given that his father purportedly died of urinary stone disease and Montaigne himself began to suffer from them in 1578. What impulses compel us humans to foist our personal observations and thoughts on our fellows may someday be revealed through the matula’s diagnostic successors such as the MRI and other marvels of imagination, but there is no arguing that those impulses are strong and prevalent. This monthly newsletter started in Allen Lichter’s dean’s office in 2000 as a way to interact with those among our faculty willing to consider some thoughts from a colleague. Admittedly, I wrote this column called What’s New as much for myself as any potential readers, but it became a pleasant habit to send out the first Friday of each month. Becoming chair of the University of Michigan Urology Department in 2007 the monthly column transitioned to our faculty, residents, staff, alumni, and friends. What’s New has served us well, connecting us to many of our intended audience and beyond. Some recipients kindly forward What’s New to their friends, although the extent of that particular reach is mostly unknown except for occasional readers who have contacted or commented to me as a result. Matula Thoughts, had over 2,300 views last year, ranging from single viewers in 24 countries, 2 viewers in 6 countries, and 3 in 11 countries. 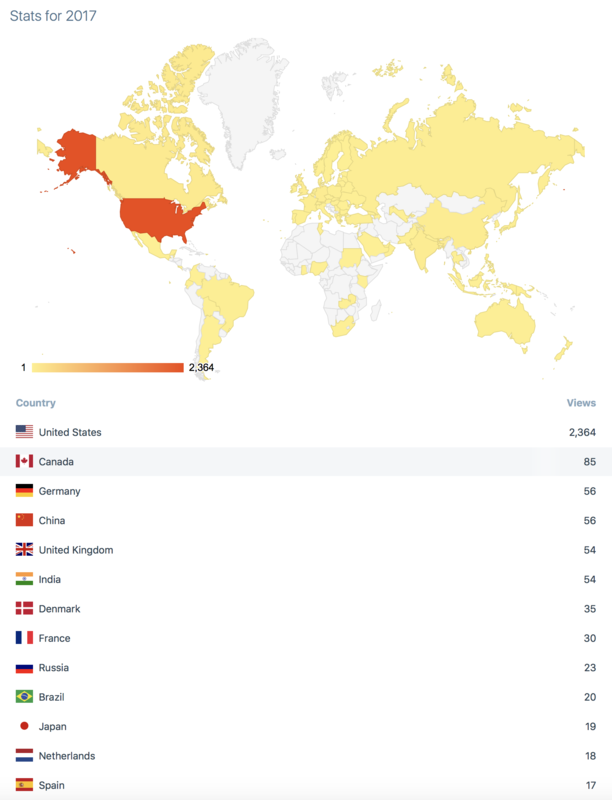 Forty-one countries had 4-85 views and the US had 2364 views as of mid-December, the map showing stats for the readership in 11.5 months of 2017. It has been enjoyable to hear from, or run into, the occasional reader of the web version. With a new chair of the Urology Department, presumably this calendar year, What’s New may be continued or another vehicle of departmental communication may be utilized, but in either case Matula Thoughts will remain in its online form (matulathoughts.org) as long as I’m able and a readership exists. These spaces will continue to be filled by matters that catch my attention and may interest some readers. Each year has a certain cadence, whether calendar, academic, or fiscal for each of the countless social and business organizations around the globe. The success of a particular person, novice or experienced citizen, in navigating the year is partly contingent on that person’s understanding of the rhythms of work and expectations of their relevant organizations. In a clinical surgical department, the 24/7 expectations of stakeholders set the central cadence for our essential deliverable – kind and excellent patient care. The stakeholders are patients, families, trainees, staff, faculty, referring health care providers, colleagues in other departments, and the community. Around this we build our educational conferences, work schedules, training cycles, maintenance of professional certification, peer review cycles, promotional steps, reappointment sequences, and social events such as our Holiday Party that last month hosted 400 people and 115 children who had encounters and gifts from Santa. As our department has grown large this event seems to have become increasingly treasured and is the single occasion to aggregate the greater part of our complex team. The cadence of the new chair search will capture our attention. In the case of Dee Fenner and the OB Gyn Department the process took around 6 months. 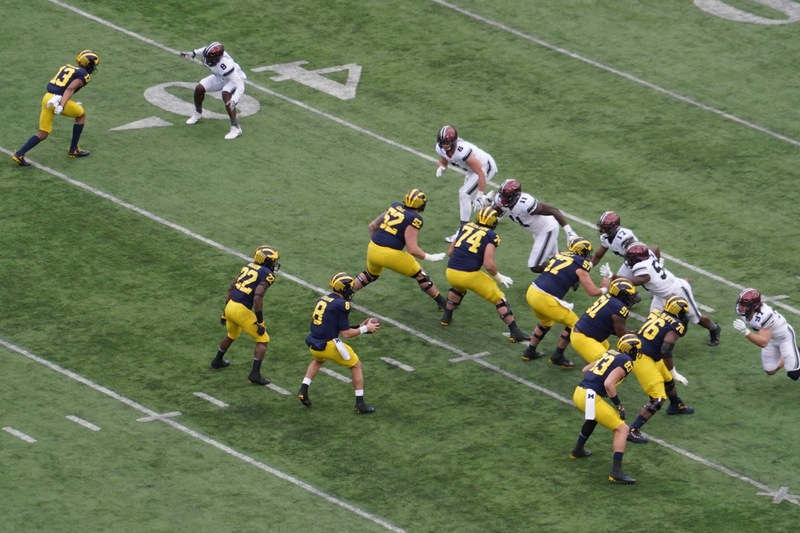 Dee was the natural choice and had passed up a number of other prestigious offers from other institutions in order to remain at Michigan. At this point she is the only other chair here to have a joint appointment with our department. Breakthrough of the year. Science, the AAAS journal, began a feature called Molecule of the Year in 1989, following Time Magazine’s Man of the Year that had started in 1927. Wikipedia relates that Time’s cover was originally a response to its embarrassment earlier that year in failing to put Charles Lindbergh on the cover following his trans-Atlantic flight. As the Man of the Year expanded to including all persons, as well as groups (in 1960 it was U.S. Scientists), ideas, or objects, so too did the Molecule of the Year to become the Breakthrough of the Year. Science named the observation of cosmic convergence, a violent merger of two neutron stars on 17 August as the scientific breakthrough of 2017. Runners-up included cryo-electron microscopy observations on organic molecular function, thermoluminescence dating of early human roots, pinpoint gene editing techniques, preprint sharing in life sciences, FDA approval for checkpoint inhibitors, discovery of a new living species of Hominidae (the Pongo tapanuliensis orangutan), recovery of 2.7 million-year-old ice cores that contain ancient atmosphere (with CO2 levels under 300 ppm), and successful gene therapy for spinal muscular atrophy 1. Once again, biology dominated the main scientific achievements of the year. Disclaimer. Because of a few skunks in academic medicine, speakers at nearly every medical presentation around the world declare absence, or occasionally presence, of “conflict of interests.” Mostly these are silly declarations, and effective skunks either lie or mislead audiences with their declarations. It is easy to mislead others, because all social transactions, especially those in health care and in academia, are built on trust. The necessary velocity and fluidity in science and medicine preclude extensive authentication and verification in real time. For example, when a colleague tells you that a serum creatinine is 0.8, you accept that as fact. Mistakes may happen in our workplaces, but they should sharpen our attention to truth and not let false facts become a way of life. Once, however, deliberate lies or plagiarism are revealed trust should never easily be restored. The cutting and pasting that has become so easy, indeed almost necessary, in the modern electronic medical record allows a very seamless slip from mistake to deceit, once a clinician starts to lose the sense of individuality of patients. When a physician loses that appreciation of the uniqueness of a patient, a history and physical for, let’s say a boy with undescended testicle, can be “generalizable.” Checking off a few boxes, or even cutting and pasting an entire H&P, is certainly more efficient than asking questions, observing the patient and family, and examining the child. This is akin to Paul Simon’s cynical song, The Myth of Fingerprints. Another associated, yet perhaps minor, gripe I have with the EHR occurs in the operating room, when at the end of a procedure in the well-intended, but tedious “time out” I am asked to describe the blood loss. My claim of “minimal” is always rejected because the computer only allows a number. In many cases a tiny bit of red can be seen, but is it 0.5 ml or 5.0 ml? It is somewhere in that range, but unmeasurable, insignificant, and inconsequential. When I am asked to fabricate a number, my mind rebels and when I do come up with a number it feels more like a lie than a guess. Anyway, with the start of a new calendar year I thought a disclaimer would be useful. Therefore, let me state that I seem to have no conflict of interest or conflict of commitment that would steer the comments in What’s New/Matula Thoughts to any drug, product, political party, or ideology outside of belief in liberal democracy (life, liberty, and the pursuit of happiness under representational government), public education, planetary conservation, social justice, and The University of Michigan. The thoughts herein, unless authorship is otherwise specified, represent mine alone. I don’t necessarily speak for our Department of Urology, Michigan Medicine, The University of Michigan, the State of Michigan, the United States, or the United Nations. Hoping you are comfortable with these statements, I invite you to peruse, delete, comment upon, or forward What’s New (the email version) or Matula Thoughts (the web-site version) this new year of 2018. What’s New is a hint that we offer some news from our academic department and health center. Matula Thoughts is a term that hinges on an ancient symbol of the medical profession that was a transparent flask used to examine urine, one of the few clues to disease that ancient caregivers had available. The matula was replaced by Laennec’s invention of the stethoscope in 1816 in Paris, but both tools reinforce the threatened idea that physicians should look at and listen to their patients. The new year, 2018, began with Michigan’s appearance at the Outback Bowl in Florida four days ago and many red moustaches and haircuts in support of the Chad Tough Campaign for brain tumor research. 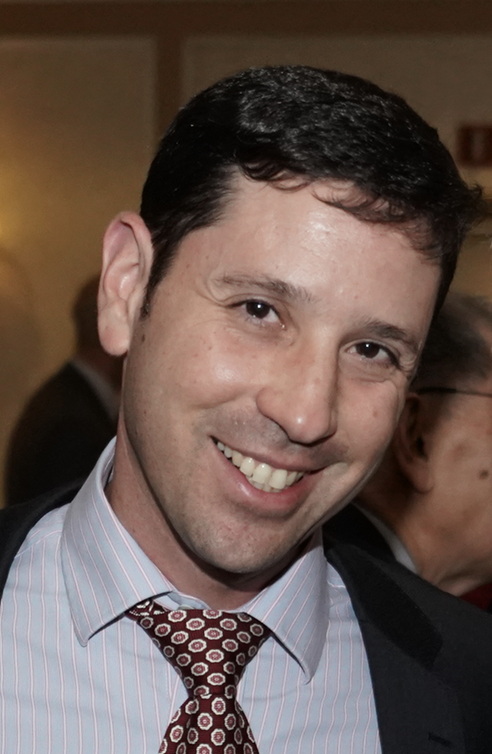 Alon Weizer is Acting Chair of our department for the next three months. This cycling of our associate chairs has been healthy for the department and for me. During this time I’ll be working on the UMMG Bylaws, helping re-activate our Michigan PAC, laying out plans for our centennial, and continuing some development efforts, and remaining active with the Hamilton Community Health Center and its board. Some people have queried the administrative structure of our department. Our basic backbone is the Senior Clinical Management team, composed of our division heads, our residency program director, and our peer-review quality officer. 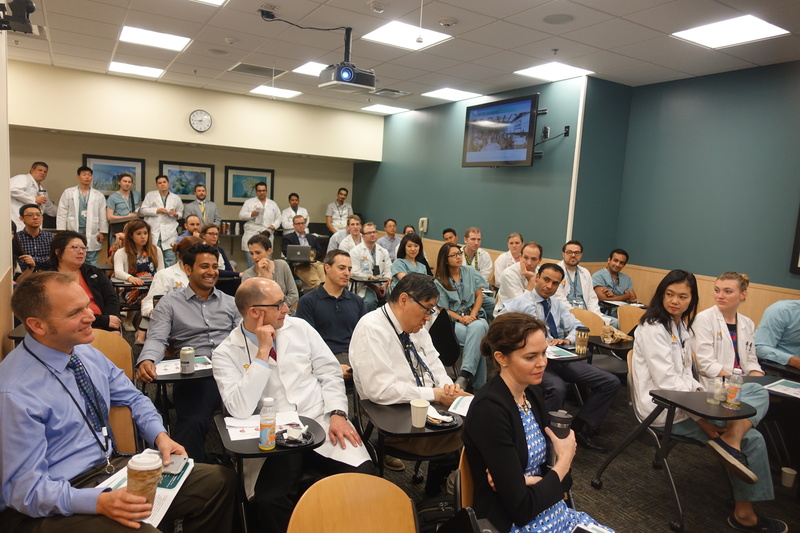 The associate chairs have responsibilities that transcend divisions, for example the research portfolio, faculty affairs, operating room distribution, in-patient clinical operations, and ambulatory care management. Our ultimate responsibility, day-in and day-out, is the essential deliverable of kind and excellent patient care. Michigan Medicine, our other departments, the community, referring physicians, and the University of Michigan depend on our ability to do this very well. This essential deliverable is also our primary financial engine, as we defend and expand our markets. It should go without saying that these markets are clinical, educational, and academic markets. We have been fortunate over the past 2 decades of Jim Montie’s and my terms in delivering our particular essential deliverable and in defending and expanding our markets. Few could find major deficits in those regards, as our external review by Mark Litwin, Ed Sabanegh, and Bradley Leibovich pointed out recently. However, the waters ahead will be turbulent and we will need a steady and resourceful hand who enjoys the support of our faculty. This winter, a search committee convened by our deans is in the process of finding candidates for leadership for our department. Having experienced one disastrous change of leadership for Urology after Ed McGuire left us for Texas in 1992, we are aware of the risks of change, but our deans and the search committee at hand give us confidence in a good outcome. With superb division heads and associate chairs in place we have a very strong and deep bench. If there is a better external candidate on the planet, good for us, but it would be hard to beat our bench. I don’t think I’ve left too many administrative problems for Alon, after all we have finished our main work of the cycles of reconciliation of FY 17 and planning for FY 19, on-boarding of new faculty, academic promotions, and residency recruitment. Alon will oversee the daily operations and occasional crises inherent to any business with several hundred employees, clinics at 16 sites, surgical teams at 9 locations, training of 28 residents and fellows, six separate investigative teams, etc. Our new relationship with West Shore Urology in Muskegon has energized us and created a new reach to the west side of the state. The growing relationship with Mid-Michigan and with Metro Hospital also offer great opportunities. Our efforts with the Hamilton Community Health Network in Flint continue as well, and I’m especially grateful to members of our urology department and a few other UM departments who have participated in this important connection. A busy year and a half lies ahead. In February we should hear the names of the new resident trainees to join our department. Our Departmental Retreat, April 14, will take stock of where we stand and where we are headed. The Teeter Symposium, May 4, will survey our work with bladder cancer. The Nesbit Alumni Reception at the AUA will be held on Sunday May 20 in San Francisco. During the Art Fair Season the Chang Lecture on Art and Medicine July 19 will inaugurate a new residency training season. The next day Hadley Wood of the Cleveland Clinic and Rosalia Misseri of Riley Children’s Hospital in Indianapolis will be the Duckett and Lapides Lecturers. The biennial Dow Health Services Research Symposium will take place September 13 and 14. Our own alumnus, Toby Chai of Yale University, will be Nesbit Alumni Visiting Professor September 20-22. The Montie Uro-Oncology Lecture is planned for early 2019, and later that year we will begin our Urology Centennial Celebrations to transition into the second century of urology at the University of Michigan, under improved new management, by then. Thank you and Happy New Year from the Department of Urology of the University of Michigan.